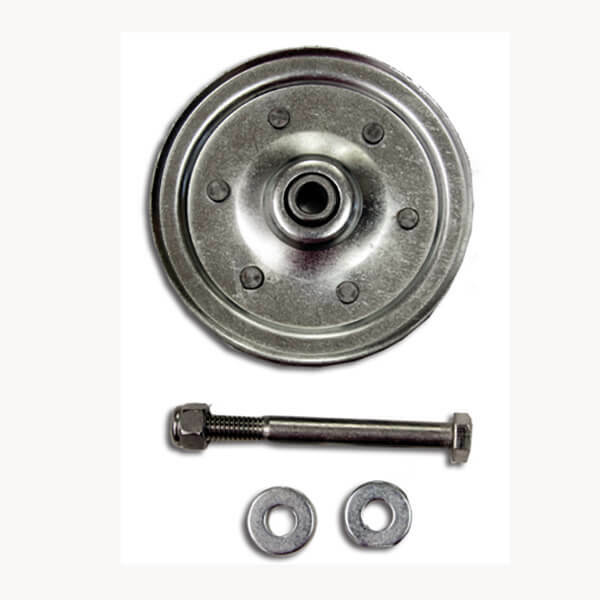 Need a replacement pulley and bolt? For the Aluminum Poles choose #4PBAL. For the wooden poles choose #4PBW. Includes four-inch pulley bolt, lock nut, and washers. This came with my T-14 Mounting Kit and it works excellent. I would recommend this pulley to a friend.